It’s 2018 & no one knows where Jho Low is?! Pherrghh…..
Low and the super toy. IT’S quite funny and one must admit, amazing, too the stories we have heard so far about this character called Low Taek Jho, born to a reasonably well-off family in Penang that owned an engineering company and had enough money to send him to study at the prestigious Harrow School in England. He must have had some brains too to be able to later earn a place at the Wharton Business School in the United States. According to some, it was while studying abroad that Low, commonly referred to as Jho Low, build up friendships with some Middle Eastern princes, notably those in the Gulf states. In just a matter of three or four years, this fatty boy has gained notoriety worldwide, almost all of it due to allegations that he had siphoned off billions of ringgit from1Malaysia Development Berhad, a sovereign fund set up by former prime minister Datuk Seri Najib Razak and which was an offshoot of the Terengganu Investment Agency. The other part of Jho Low that became international news was when photos of him and friends partying with the likes of socialite Paris Hilton made it to social media but at that time, there was little mention of where the money he had may have come from. What boggles the mind sometimes is that although the world seems to be getting smaller in terms of reach from one place to the other, with all the tracking technology we now have, no one appears to know exactly where is Malaysia’s unofficial most wanted man, the bloke Prime Minister Tun Dr. Mahathir Mohamad has said he would like to put handcuffs on the moment Low appears in front of him. 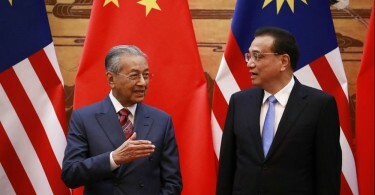 A report on his arrest in China a few weeks ago turned out to be dud, former finance minister Tun Daim Zainuddin has said that he thought the government should know where Low is, that is if the country’s intelligence service under the Prime Minister’s Department, hasn’t been shut down post May 9, while Mahathir thinks Low may be in China but doesn’t have anything more apart from his suspicion. 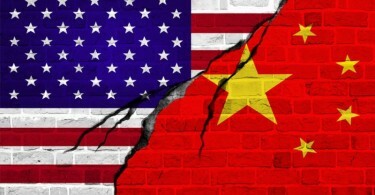 In the meantime China isn’t saying much or has adopted a non-committal position. An Interpol red alert? That, it must be said, is non-binding. 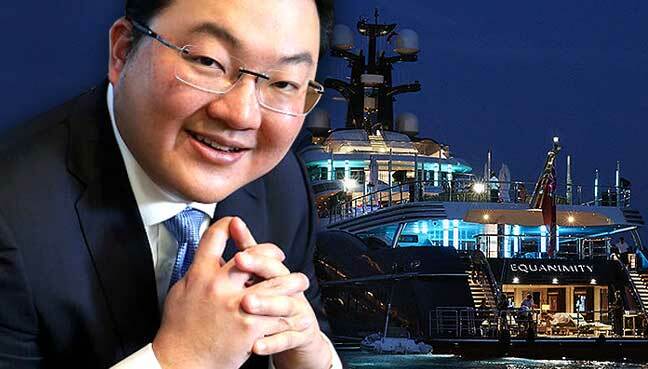 Jho Low must be the world’s most maligned financier and businessman, alleged to have been responsible for using billions of stolen money to enrich himself and others, buying the Equanimity super yacht, a private jet and real estate in the poshest of addresses in London and New York. Yet, the irony of ironies is that despite being the subject of high level investigations in at least four countries – the US, Switzerland, Singapore and Malaysia – since at least three years ago, Low has yet to be charged for anything. In fact no one has, not even in 1MDB’s home turf of Malaysia. Some may argue how this could possibly be done when the man is constantly on the move. Fine, but there is such a thing as being charged and tried in absentia. This too hasn’t happened. From what we have been told by the media, Low is the type who would be most comfortable living in an urban environment. In Asia this would mean being in Hong Kong, Shanghai, Bangkok, Bali, Jakarta and Singapore and by parking himself in these cities, Low is bound to be recognised and filmed. For some strange reasons, this too hasn’t happened. Love him or loathe him but this Penang-born must be one hell of a 36-year-old. Low’s urgent concern must be to find a way out of this legal entanglement with Malaysia over the fate of Equanimity, which the Malaysian government hopes to be able to sell off soonest possible. Being able to sail the yacht from Bali, where it was impounded following a court order, to have it docked in Port Klang was considered a victory for Malaysia and although it’s one expensive super toy, it is not going to make Low lose sleep since he doesn’t live on the yacht. Rather it was something he partied on. If Malaysia can find a buyer and be free of all encumbrances, good for the country and the people but there is also a chance the yacht could end up being a burden Malaysia doesn’t need. Wherever he is, it wouldn’t be far off for us to think that Low is already plotting his next (legal) step in reaction to Kuala Lumpur’s latest move in court vis-à-vis the Equanimity.